iPrint Bedding Bed Ruffle Skirt 3D Print,Farm Life Animals Balloons Rainbow Clouds Village,Fashion Personality Customization adds Color to Your Bedroom. by 70.9"x78.7"
Give your bed a finished look with our tailored bed skirts. Our basic color story will match any bedroom decor. This Soft bed skirt is designed with 16-inch drop that conceals your box spring and bed frame, creating a tidy, unified and contemporary looka 2" inverted pleat at each side.This bed Ruffle features . Its long length coupled with ruffled appearance covers your bed perfectly and provides a stylish look to your bedding decor. These Bed Skirts provide a lasting vibrancy of color no matter how often they are washed and are made of high strength micro fiber yarns that will stay soft and wrinkle free for years to come. Thanks for your business! We will always strive for 100% customer satisfaction.If You Have Any Problems, Please Email Us Firstly About Your Concerns. We Commit to Offer you the Best Product and Service! Thanks! Made From - 100% Brushed microfiber fabric. Wrinkle and fade resistant environmentally friendly printed fabric with a subtle luster and a silky soft feel.Vivid colors and image.Super soft for ultimate comfort. Please note that final print colors and image appearance may differ slightly than what appears on your screen.Machine wash cold delicate cycle, tumble dry low. Do not bleach, iron, or dry clean.If you have any problem or suggestion, please kindly contact us, we provide support for you within 24 hours. View More In Bed Skirts. Bed Skirt Cover 3D Print,a River Africa Animals Wildlife Adventure,Fashion Personality Customization adds Color to Your Bedroom. by 70.9"x94.5"
iPrint Bedding Bed Ruffle Skirt 3D Print,Animal Cartoon Cute Little Hearts Colorful Clouds,Best Modern Style Bed Skirt for Men and Women by 70.9"x78.7"
iPrint Bed Skirt Dust Ruffle Bed Wrap 3D Print,Seemed View with Safari Wild Animals Gazelles,Best Modern Style Bed Skirt for Men and Women by 47.2"x78.7"
iPrint Bedding Bed Ruffle Skirt 3D Print,Savannahs African Animals Exotic Giraffe Lion,Best Modern Style Bed Skirt for Men and Women by 94.5"x102.3"
iPrint Bed Skirt Cover 3D Print,Wildlife Jungle Animal African Safari Theme,Best Modern Style Bed Skirt for Men and Women by 70.9"x94.5"
iPrint Bed Skirt Dust Ruffle Bed Wrap 3D Print,with Various Jungle Animals Greenery Growth,Best Modern Style Bed Skirt for Men and Women by 59"x78.7"
iPrint Bedding Bed Ruffle Skirt 3D Print,Animal World in The Shape Uppercase P Vibrant,Best Modern Style Bed Skirt for Men and Women by 90.5"x96.5"
iPrint Bed Skirt Dust Ruffle Bed Wrap 3D Print,Animal and Plant Pattern Aquatic Scene Creatures,Fashion Personality Customization adds Color to Your Bedroom. 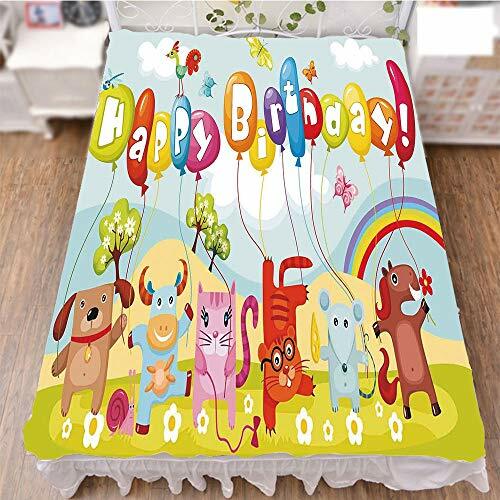 by 70.9"x78.7"
iPrint Bed Skirt Dust Ruffle Bed Wrap 3D Print,Meditation Cute Little Cartoon Animals Dotted,Fashion Personality Customization adds Color to Your Bedroom. by 70.9"x78.7"
iPrint Bed Skirt Dust Ruffle Bed Wrap 3D Print,Large Eyed Animal on The Tree Branch Caricature,Fashion Personality Customization adds Color to Your Bedroom. by 90.5"x96.5"